Q. Who is eligible to attend the Open Door Day Programme? Any child or adolescent with autism or autistic features, between the age of 3and 18is eligible to attend the Open Door Day Programme. Adults aged 18 and older are eligible for the Adult programmes. Q. What is the admissions process at the Open Door? An applicant may register at the front office at the National Centre for Autism. Depending upon the vacancies available to meet the requirements of the particular child’s profile (following a functional assessment), we offer admissions. 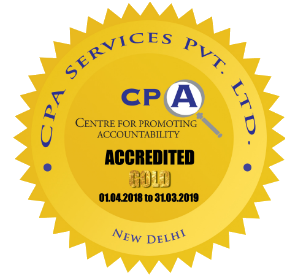 We also offer admissionsfor short terms for children whose families are on a transfer to/ posted in Delhi for a short span or are doing a short term course with us at AFA. Q. How many children will be/are enrolled in the Open Door Day Programme? A model programme, wherein the priority is to provide for the individual needs of every single student and keep the quality of services provided at the highest, currently, the Open Door Day programme has seven sections in which around 60 children aged 3 – 18 are placed depending on their abilities, needs, and chronological age. Q. What are the timings of the school? Q. Do you accept children with Intellectual Disabilities/Mental Retardation along with severe Autism? Yes, if a condition co-exists along with Autism, then admission would be considered. However, we are currently not accepting admissions for children with a diagnosis of only Intellectual Disability or Down's syndrome . Q. What other facilities will be available to the children besides the school programme? There are several other programmes for children and adults across the spectrum that address different needs and strengthen various skills that can be accessed in addition to/besides the school programme. Click here to read more about more services offered at AFA. Please note that any other service that you wish to avail, in addition to Day Programme, will be treated as a separate programme and is not included as part of the Day Programme. Q. Is this a Special Needs School? Open Door is a special needs school catering especially to the specific needsfor people with ASD. Q. What is the philosophy of the school? At AFA, we believe, that given an accepting environment and appropriate intervention strategies ALL individuals with autism can learn and progress. The philosophy of the Open Door Day programme springs from this belief. At the core of the philosophy is understanding autism, accepting autism as an integral and vital part of the student’s being and approaching the teaching of all skills from that paradigm of understanding and acceptance. The learning environment is thus, a happy, stress-free one, where the child is not coerced to learn, but instead motivated to learn, where every step taken ahead by a student, irrespective of however small it may seem, is celebrated. Q. Is this a residential school? At the moment the Open Door Day Programme is day boarding. Q. Will the school provide meals? Meals aren’t provided for, but there is a cafeteria on the premises,where breakfast and lunch are prepared and may be purchased. Q. What about all the children who can’t attend the Open Door Day Programme? The Open Door Day Programme is not necessarily the best place for every child! Each child has different needs, and many families are quite satisfied with the setting they have chosen for their child. In fact, we encourage families to move towards more integrated settings as their child progresses. In addition, we also offer the Outreach & Intervention programmes for children attending other schools and whose parents are interested in learning how to work with theirchild. Q. Where are your teachers trained? All our teachers are formally trained to work with people with autism and other allied conditions. Action for Autism has pioneered teaching strategies based on extensive practical experience and internationally used sound behavioural principles, adapted to the Indian context and all the teaching staff are well versed with these strategies. These techniques are now part of our RCI recognised course in Autism. Several of our teachers have also received training from TEACCH in Chapel Hill, N.C., from Heartspring in Kansas andAutism ACTION in Chicago and have attended several conferences and seminars across India and in countries like USA, Denmark, the Philippines to name some. And, of course, our teachers participate in trainings and workshops, that take place in Delhi, conducted by visiting professionals, both Indian and international. Q. My family lives outside Delhi, but I would relocate if my child can attend Open Door. Is this possible? While this is theoretically possible, we discourage families from uprooting and relocating solely for this purpose. Moving to a new city means that many important social supports may be lost, such as having family nearby, and may prove to be more counterproductive. However, we do accept temporary placements for parents who are interested in receiving training while their child attends Open Door. The Open Door Day Programme is operated by Action for Autism. For more information, contact us.